The land of Dilmun is holy, the land of Dilmun is pure. In Dilmun the raven does not croak, the lion does not kill. Sound familiar? If not, refer to Standing Out in Saudi Arabia. This verse was written on a 4000 year old clay tablet held in the Bahrain National Museum. Caldwell wrote a lyrical story of an Irish woman who follows her husband to Bahrain. Ruth dreamed of a new life in an exotic country. Like thousands of expat housewives before her, Ruth’s life without financial or domestic responsibilities and a husband who is completely absorbed in his new job leaves her plenty of time to wonder – what do I do all day in Paradise? Confronted by people living normal existences but under a different belief system and unsupported by the cultural walls of their own country, expats often find themselves asking the existential question – Who am I? 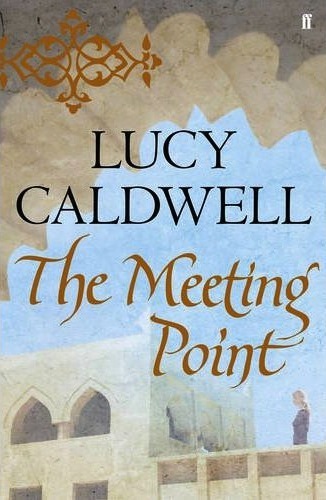 The Meeting Point describes a woman’s unexpected search to find that answer while describing life in Bahrain in beautiful detail. I was more than pleasantly surprised by the book. 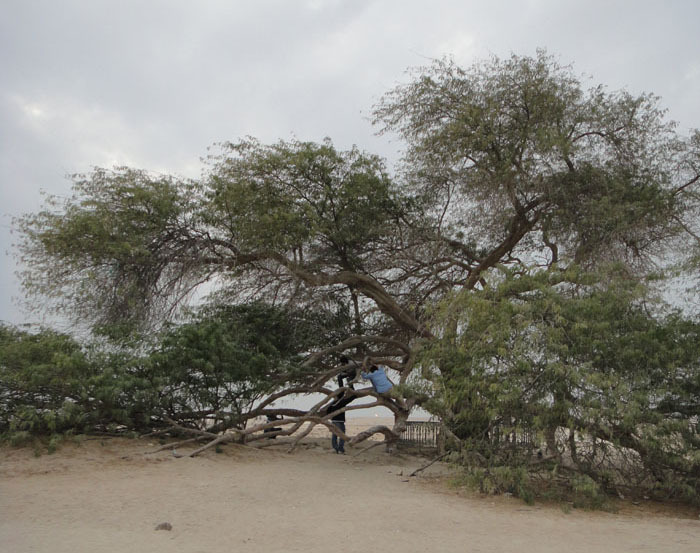 Tourist Climbing Tree of Life featured in Lucy Caldwell’s Book. I recommend it if you are interested in expat life, Bahrain or enjoy a well told Irish story. I’ll recommend it to my book groop.